Who wants a Warbird Replics Hurricane? I'm told on another thread that the production of another batch of Warbird Replicas Hawker Hurricanes will not take place because in the past modellers have expressed an interest in buying the kit and when they became available they did not put their money where their mouths were! 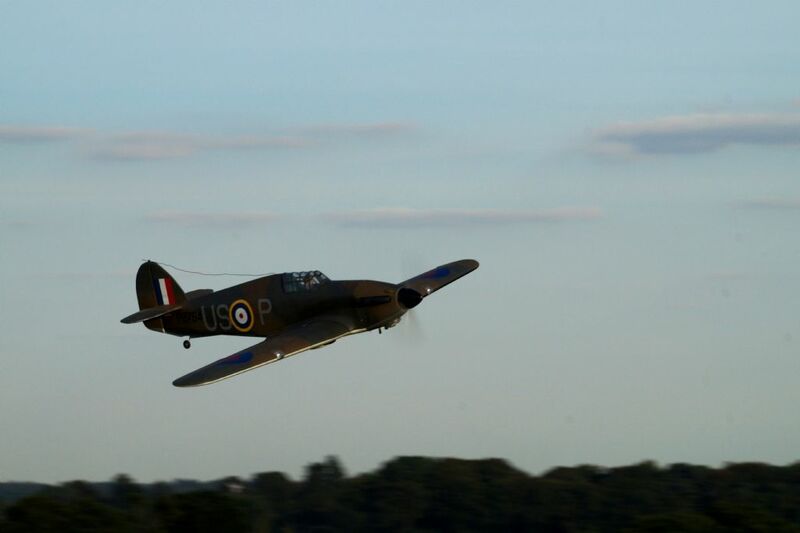 I am very interested in the Hawker Hurricane and if Richard Wills, the proprietor of Warbirds Replicas, will produce another batch of kits for £140-£150, he's got my money! I'll go further, I'll even send him a deposit! How much would you like Richard? I believe he needs at least another nine modellers to commit to buying a kit to make the production worthwhile. Who will publicly commit to buying a kit on this forum? For those unaware of this model i attach a few photos of the one i built last winter. I made a few mods, but nothing beyond the skills of most kit builders. They are 63'' and about 9-10lbs. Mine is about 9lbs 10oz and the Laser 80 fitted to the front pulls it with no bother at all. Landing is solid with no nasty surprises and the model looks the part in the air as i think you will agree. Jon that looks lovely and I would certinaly be interested too. I was going to build a Hurricane from the Bryan Taylor plan but with numerous other projects on the go and in the pipeline time becomes a critical factor, so I cannot see me finishing it for many years. A kit would help no end. 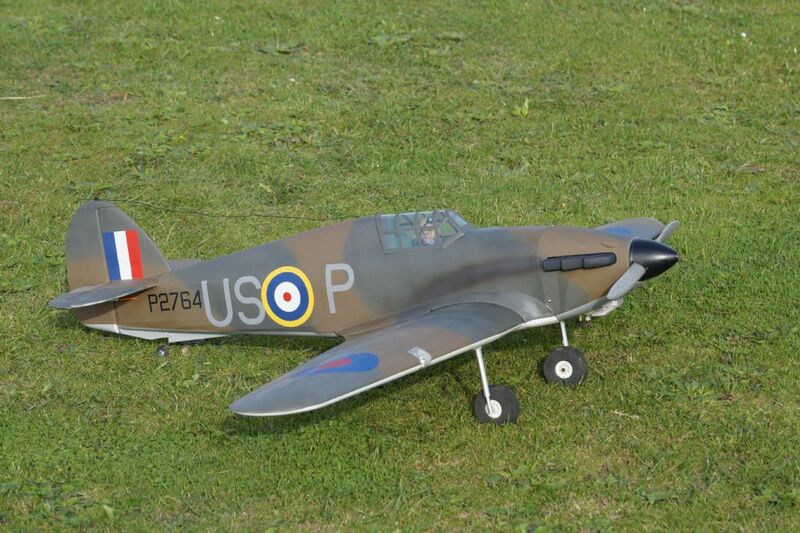 The Warbirds model is not on terms with the BT in terms of absolute scale accuracy, but it is built solidly for club flying, its construction is much quicker and it looks like a Hurricane to me so whats not to like? "...if Richard Wills, the proprietor of Warbirds Replicas, will produce another batch of kits for £140-£150, he's got my money! I'll go further, I'll even send him a deposit! How much would you like Richard?..." At 63" wingspan, what's not to like. I'm in. In answer to Davids original question..........I too am in, if Richard is willing to do a Hurricance production run given the right numbers, then I would like to purchase one, with a deposit or however Richard would like to do it. The hurricane was my 1st choice but I had the Spitfire instead as there was no Hurries in stock. If it's not going to be for a couple of months I would have one. They can be electric I hope. Graham, I feel sure that any model can be converted to accommodate an electric motor. In just over 24 hours, by my maths, 4 of us have committed to buying a Warbirds Replica Hawker Hurricane kit should one become available, and two others have expressed a strong interest in the kit without unequivocally saying that they intend to buy one. I will continue to monitor this thread until the end of the month and will endeavour to find out the size of a minimum order. I would put a deposit down on one if it wasn't for the fact that I have three models 'in-build' and I am not prepared to admit how many unbuilt kits in storage! This is the building season guys, surely there must be a few more looking for a new project to build? I will buy one, willing to pay deposit if required. Piers, I think we're all hoarders! This was my situation a few months ago. I have made a start on the Baron since I typed up the list! I would love to say 'yes' but I can't. I bought the LA 7 last week and I'm already committed to buying one of the 110's. This is compounded by the fact that I'm working abroad at the moment and can't build a thing! Ok Bucksboy, I understand, thanks for letting me know. On a side note, the Stampe Monitor in your list isn't quite correct. It should be the Stampe SR.7 or the Farman Monitor. 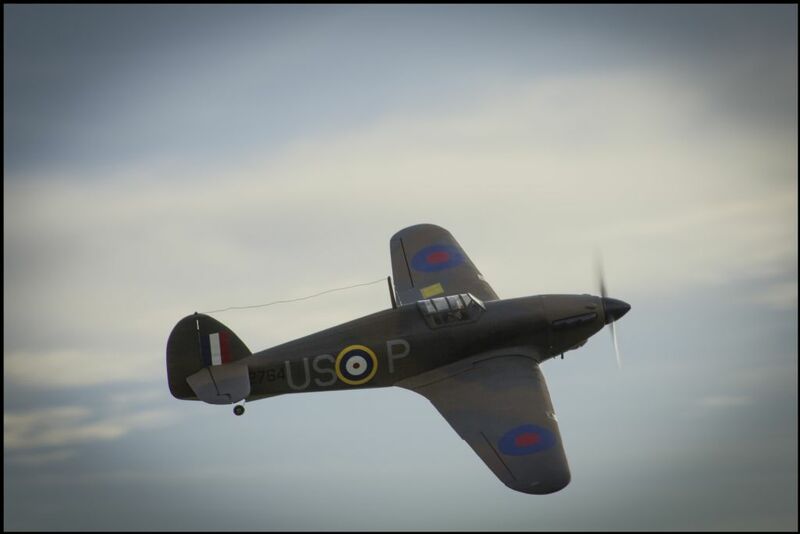 All Forum Topics > Scale and Semi-Scale kits > Who wants a Warbird Replics Hurricane?